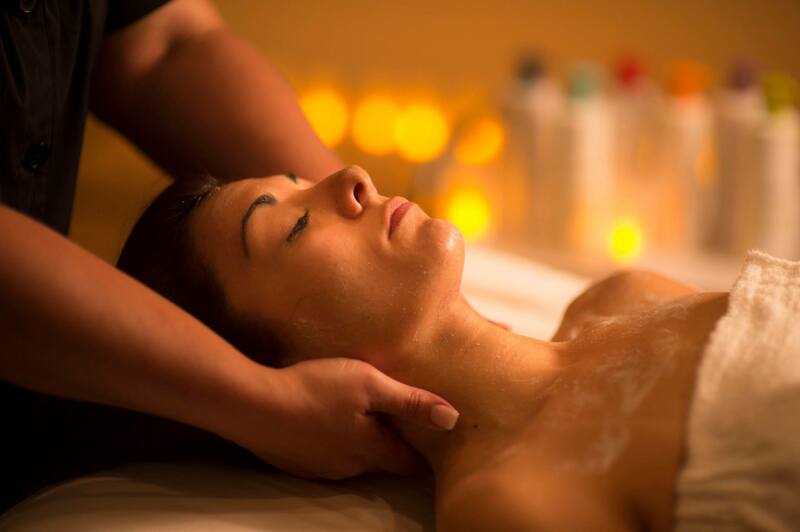 Relax at a spa during your stay in the Smoky Mountains. If you’re staying in one of our Pigeon Forge cabins, try the St. Somewhere Spa in Pigeon Forge, or simply bring the spa services to your cabin. Pigeon Forge, Tennessee is world famous for both its spectacular mountain scenery and the town’s warm and welcoming resort experience. This has made it a highly popular destination for a relaxing getaway for both single visitors and families. Visitors tend to spend their days on their feet, either taking in Pigeon Forge’s numerous local attractions or hiking in the nearby Smoky Mountains National Park. After a long and active day, what could be better than treating yourself to a relaxing spa session? There are a number of spas to choose from, including the St. Somewhere Spa. This spa is a part of The Island, a shopping and entertainment center located right in downtown Pigeon Forge on the banks of the Little Pigeon river. The St. Somewhere Spa is part of the Margaritaville Island Hotel and brings a taste of the tropics right into the mountains of Eastern Tennessee. The exotic, island theme is reflected in the decor, atmosphere and the spa’s services. Among the spa’s most popular offerings are the Volcano Hot Stone Massage and the Key Lime Margarita Spa Manicure. This is also a fun place to host your next big event, whether it’s a family reunion, a wedding, or a beauty weekend with the girls. If you’d like a more exclusive getaway with your friends and loved ones, the Compass Rose Room is a perfect place to hold private parties. 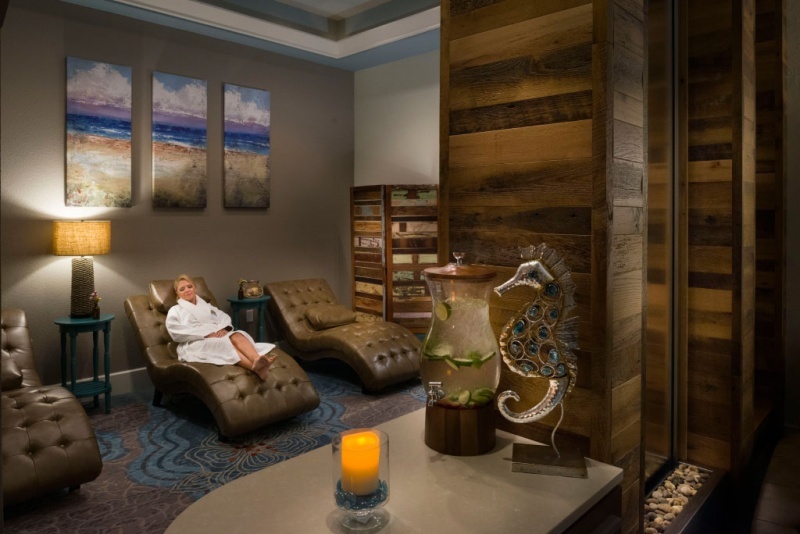 This full-service spa offers a unique mix of traditional treatments with a tropical twist that you won’t find anywhere else in Pigeon Forge. If you’re only stopping by for an hour or two, you can try one of their wide variety of massages. Their signature “Wastin’ Away” special is 90 minutes long and uses hot stones and essential oils to create the ultimate relaxation experience. They also offer a quick, 60 minute long traditional Swedish massage and a highly recommended couple’s massage. Are you looking for an unforgettable full day of pampering? Be sure to sign up for the “Ultimate Retreat”. This 4½ hour long package combines a massage, manicure, pedicure, and cosmetic application. You can also mix and match for a custom spa day: services include hair and makeup, facials, manicures, and pedicures. If you’re comfortably settled in at your luxurious Smoky Mountain Cabin, you may not want to leave the mountain views behind to go downtown. The good news is that you don’t have to – with A Mountain View Spa services, you can order a massage to be brought right into your cabin or on the deck. See our feature on this service here: Massage in Your Cabin in the Smoky Mountains. You can choose from one of the seven different types of massages (a minimum of one hour long) offered by the spa’s experienced professional masseuses. They’ll bring everything needed including massage oils. Additionally, you can also enjoy a number of other spa services and treatments that are brought directly to your cabin. These include targeted massages for sore necks and stiff shoulders as well as reflexology sessions. If you’re short on time, you can get a quick half hour facial or a body treatment including a body polish. TIP: Most spas in the area offer packages for weddings and other special occasions. Be sure to check our luxurious Gatlinburg honeymoon cabins as well as package deals for romantic couple’s getaways and wedding specials and services. See our Gatlinburg cabins pages for more details.